The Museum of Russian Art, located at 35W and Diamond Lake Road in Minneapolis, MN. In 1991, Raymond E. Johnson, an art dealer and collector sponsored the first known retail exhibition of Russian Impressionist paintings in North America. 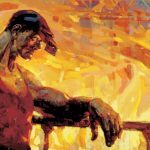 The positive response by American collectors to this exhibition encouraged Johnson to launch a large-scale program to identify the finest examples of Russian Realist paintings from throughout the former Soviet Union. Since then, Ray Johnson and his wife Susan have acquired what is believed to be the largest privately owned collection of Russian Realist paintings outside the borders of the former Soviet Union. Over the past decade the Johnsons have made selected portions of their collection available on loan to a variety of American museums, universities, and cultural institutions for non-commercial exhibition and educational purposes. The Johnsons recognized the importance of their collection and desiring to create a legacy honoring Russian art, they initiated the idea of a museum dedicated specifically to exhibiting the art of Russia and made significant financial contributions to implement the concept. The Museum of Russian Art opened its inaugural public exhibition in 2002. 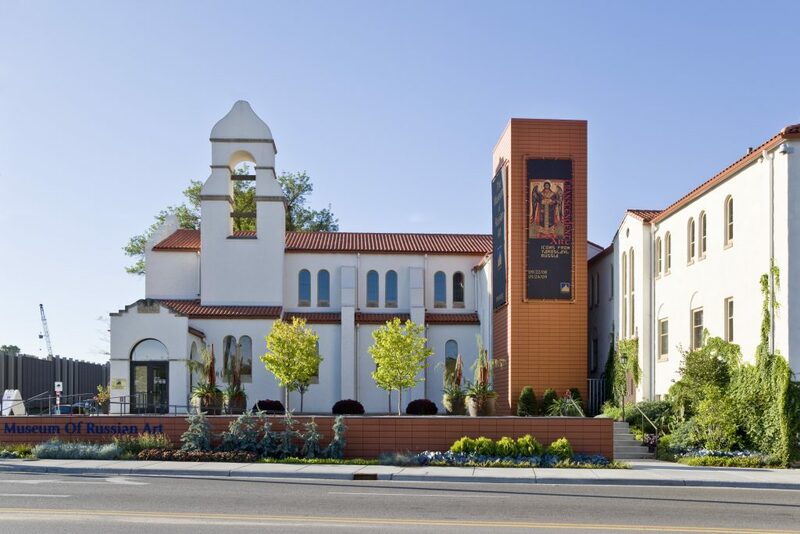 The museum is dedicated to the mission of promoting education, enlightenment, and engagement through the art of Russia. Originally located in Bloomington, the museum moved to its current location in 2005. In 2002, the museum was deemed a 501(c)(3) by the IRS, having met the facts and circumstances test that qualifies the museum as an educational, non-profit corporation. The Museum is governed by an independent Board of Trustees. In its current location, the museum has expanded its focus beyond 20th century art to include exhibitions on Russian icons, photography, printmaking, lacquer art, porcelain, textiles and beyond. The museum plans to continue expanding the scope of exhibition subject matter in order to advance its educational mission. Exhibitions at the museum are designed by the museum staff and generally include works selected from its growing permanent collection supplemented by items obtained on loan from various museums and individual collectors. The museum enhances its continuous program of public exhibitions by sponsoring subject specific lectures, seminars, concerts, and other unique events, which include independent scholars of Russian culture and other specialties who share their expertise with the TMORA audience. In 1925 the Mayflower Congregational Church formally organized and on this site built a little white chapel that seated 100 people. In the 1920s this part of Minneapolis and the church experienced a boom in growth that continued for years, and by the early 1930s the congregation was desperately in need of more space. Although the country was in the throes of the Depression, the congregation found means to build the new church for the reasonable cost of $50,000. Construction of this current building, the sanctuary, began in 1935 and was situated adjacent to the little white chapel. The building style is Spanish Colonial-Revival, with architectural elements based on the Texas Mission in San Antonio. The façade silhouette resembles Mission San Antonio de Valero, also known as the Alamo. The Rose window and stone carvings are adapted from Mission San Jose y San Miguel de Aguayo. The pierced belfry, multiple arches, Romanesque windows, stucco walls, large wooden beams, and terra cotta tile roofs are all common to the Mission style. The church’s first resident pastor, the Rev. Silas Meckel, traveled south to the Mission Valley and according to his daughter, Bette Meckel Babcock, fell in love with the architecture of the Mission Trail. Upon returning to Minnesota Rev. Meckel requested that the new church building reflect those Texas Missions. According to church member Marguerite Farnham Drake, “That Spanish Mission style was not a Congregational style and it really wasn’t a style appropriate for Minnesota, but it was a style that the Meckels were fond of and the congregation was extremely fond of the Meckels” (Mayflower Journey, p. 6-7). Many of the Mayflower members worked on the building site, contributing to the construction. Carl Bard, a founding member of the church, was the architect. Bard and his partner, Joseph Vanderbilt, designed many of the churches and civic buildings in the area, including the original Mt. Olivet Evangelical Lutheran Church and the Linden Hills Branch Library. The exterior stone carvings were created by early church members David McFarlane and Joe Cobb, owners and operators of the Rich McFarlane Cut Stone Company (now McFarlane Stone). For the Museum of Russian Art project, the stonework was restored by Dean McFarlane, great-grandson of David McFarlane, continuing the multi-generational stone carving tradition. 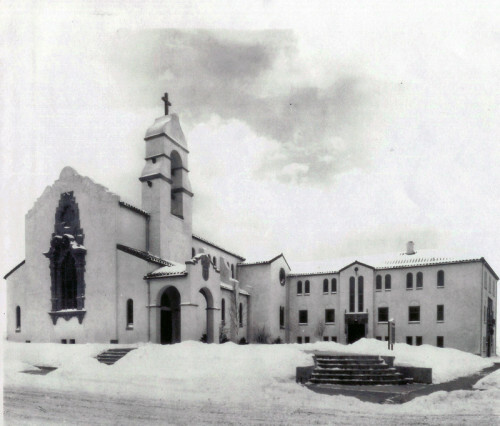 The original white chapel was removed in 1940 and a classroom building was erected over its foundation. In 1974 the Mayflower congregation moved into its new church across the street. The Spanish Colonial-Revival building was sold to Enga Memorial Chapel, saving it from demolition. The funeral home operated for nearly 30 years. In early 2004 the Museum of Russian Art acquired the site. Under the direction of Julie Snow, design principal for Julie Snow Architects, Inc., the building has been converted into a world class art museum. The design concept preserves the original architectural character while stylistically distinguishing the new from the old. For example, the new elevator shaft covered in terra cotta tile references the original clay tile roof, while the mezzanine construction is designed for transparency, allowing the art, as well as architectural elements, to be seen throughout the space. The museum-quality environmental systems are seamlessly woven into the structure. The historic building has a rich history of service and dignity. The Museum of Russian Art continues these traditions while instituting its own legacy of art and culture.